could be a regression according to compatibility list. (03-23-2016, 07:54 AM)jesalvein Wrote: could be a regression according to compatibility list. What is your GPU driver? 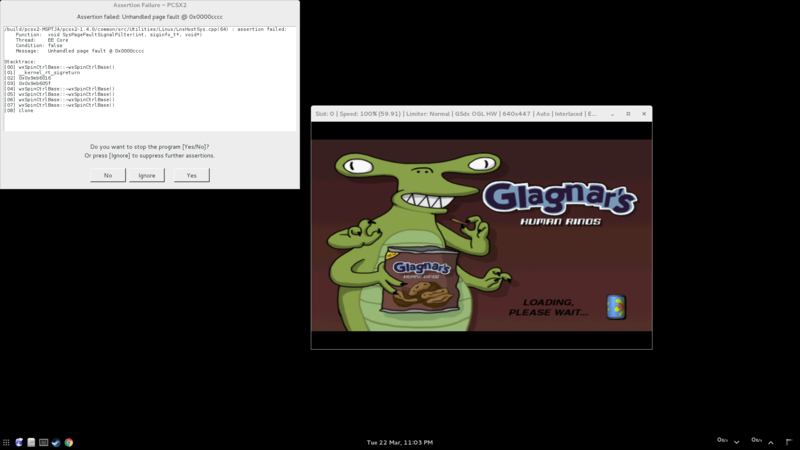 (03-23-2016, 10:38 AM)gregory Wrote: What is your GPU driver? The dbg symbol must be included in the ppa normally. 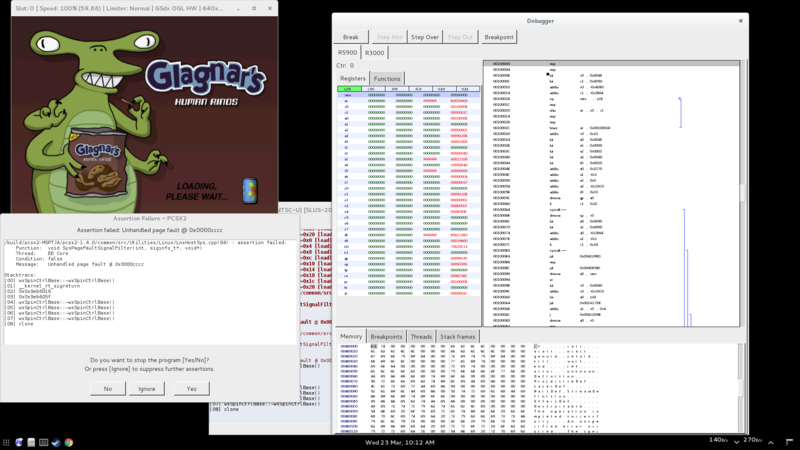 Not this debugger (which is used to debug PS2 game itself) but a standard debugger like gdb. You need to attach it when the pop up assertion appears.